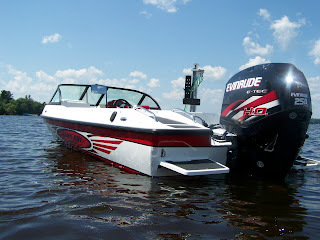 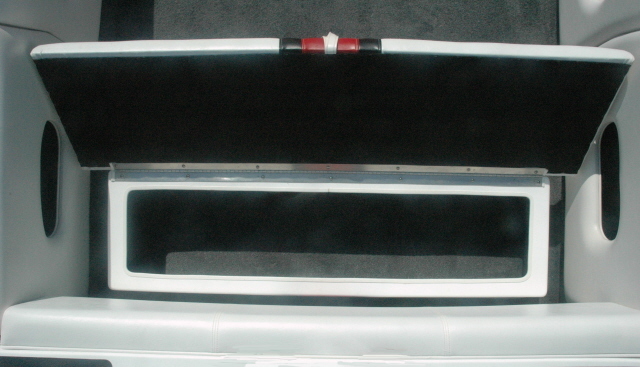 Here are pictures of the Dyna-Ski 20' Open Bow Barefooter. 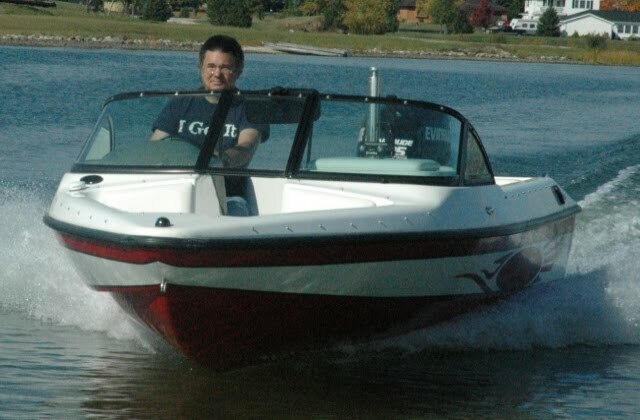 Many of these are not on the Dyna-Ski web site. The main difference between the 20' Open Bow models is the sun deck. 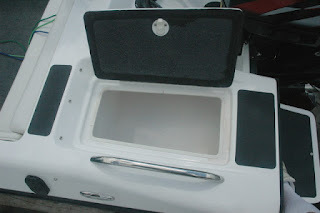 The Barefooter does not have a sun deck and the Open Bow 20' does. 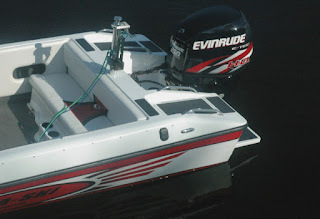 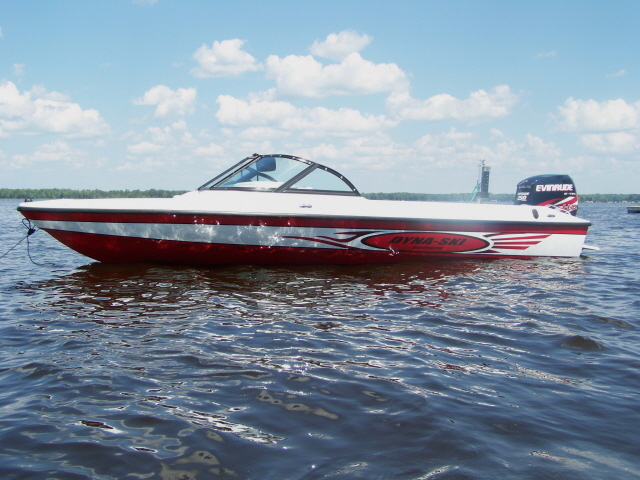 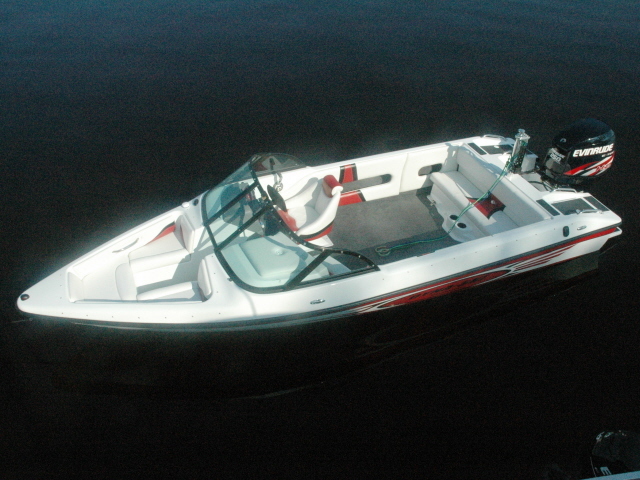 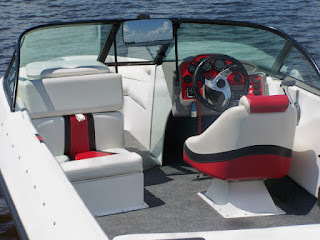 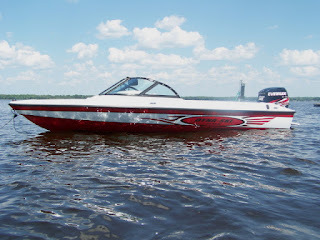 This Dyna-Ski has a three color hull which is an option on all Dyna-Ski Models. The 20' Barefooter has an optional front mounted pylon like the 17.6 Open Bow does. 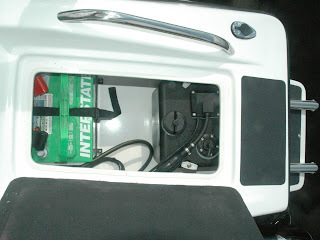 All the Dyna-Ski Open Bow models have the rear compartment for the battery & oil tank on one side and the storage compartment for wet stuff on the other side. 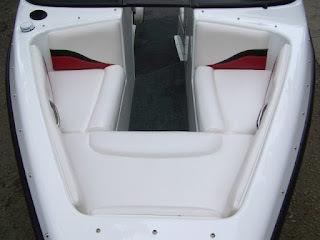 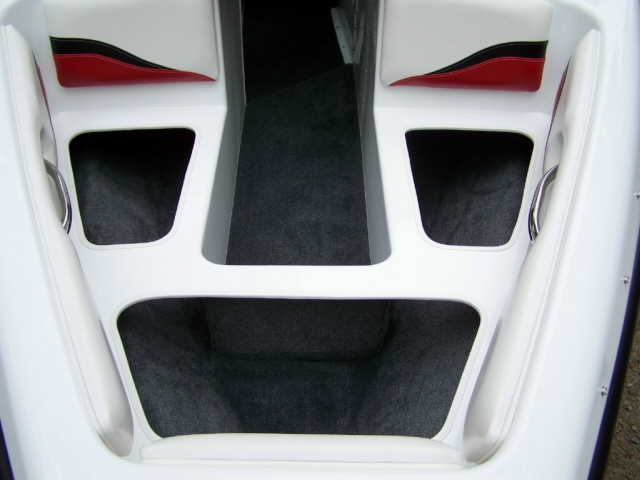 The seats all use the same fiberglass bases.